Enlightenment within the confines of DDO for my Monks is a pleasant story. But it’s only a story. There’s enlightenment that comes only from the truth found in reality. I’m giving up DDO for Lent. During this Lenten season, from February 18 through April 5, I’ll be taking a break from DDO itself to devote attention to where genuine attentions are due. Lots of things such as time with my family, a boatload of space models eager to come alive, lots of spring cleaning and even work on some meditation and contemplation to honor my inner monk. This year marks my 10th anniversary on entering the faith, so I feel obligated to mark the occasion with at least one profound gesture, especially for my wife, who, among Others, puts up with my gaming but deserves more time from me. While I’m away from the game, I won’t be away from the blog. I’ll be posting from a stockpile of saved stories during these 40-ish days for your reading pleasure. I may also jump on the DDO forums to keep track of news and events and report on it as best I can in the few minutes I might take to do so. So, look forward in the coming weeks to stories on another insane solo raid idea, Syncletica’s continued vow of poverty trials, Lynncletica’s tanker training, and Misty’s completion of many EDs for Ranger happiness and her first high-level raids. As my guild’s rules note, “real life comes first.” See you in the Spring. Pynthetica the Zen Archer reached level 20 not very long ago, after an expected struggle with this trial build. I planned to train her through Shiradi Champion and several other destinies to build her defenses and tactics. Just because Pyn’s a pure Monk didn’t mean she couldn’t utilize the burst damage that monkchers have enjoyed. But there’s a greater problem that overrides what Epic Destinies to pick and train. The problem’s so great that I must resign Pyn to another life to try again, with a greater hope for the future to make a Zen Archer the strongest it can be, through Heroic levels and beyond. As it stands now, continuing with Pyn in this current build would be folly. Shortly after Pyn hit 20, I rolled up Artemistika, an elven Deepwood Stalker. I’ve been playing it to death. Next to Monks, archers get much love from me. I’m officially concerned for Pyn now because of lessons learned with Misty. In particular, bow damage. All Rangers gain the Bow Strength feat, applying STR modifier to bow damage. Elves can adjust this with the Aerenal Grace racial enhancement to make DEX as the sole stat for to-hit and damage. Misty’s level 22 damage to an unfortified training dummy with a strong non-Epic bow showed 120-190 damage per normal hit, with criticals in the 400s and beyond. But Pyn is not a Ranger right now, nor a full Elf. 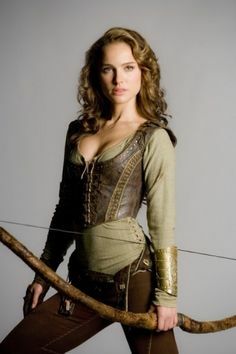 She gained a “Lesser Bow Strength” from her Half-Elf Ranger dilettante. So she has to apply the STR modifier, but only gets credit for a percentage of that modifier. Zen Archery simply changed the to-hit bonus from DEX to WIS, which was why I had began pumping up WIS. But this makes Pyn in her second life not too different from her first life as a Ranger where I neglected her STR and pumped up her DEX in my ignorance. The result is that Pyn is woefully under powered as a Half Elf with bow damage. I did anticipate this, but not on the order of magnitude that Misty illustrated for me. Perhaps in the next life, going Elf would give Pyn the Aerenal Grace ability with Zen Archery providing the centering factor for using the bow only. Then life would be in better balance since she was specced for higher DEX with tomes in life 1. It’s too bad that I can’t easily train in Deepwood Stalker as you can do so in adding an Arcane Archer tree to any Elven character. An Elven Monk Pyn with DWS would make a superior archer with her monastic powers. Multiclassing for now isn’t an option for me. Additional elven longbow competence training from the racial tree would also work in her favor as well as that Shadow Dragonmark that adds Displacement, among other things. So for now, I’m too challenged to make Pyn work as effectively as she can be with this handicap. Hindsight is a poor way to build a character. But, this Monk-with-a-bow build was experimental. At least through Misty I have an answer for Pyn to make her build much more dynamic later. As a result, I will shorten Pyn’s adventures yet again, having never trained past level 22 in the first life as a Ranger, reincarnated as an Elf. There was a lot of work with in destiny-land. There was a lot of grinding to do. I’m sure training in Grandmaster of Flowers, Shiradi Champion, Shadowdancer and many other EDs would make a Zen Archer a very formidable foe. But even I know that DDO requires damage. However creatively you apply it, as I do with characters like Ryncletica, your damage must be sufficient. In this instance, Pyn’s archery-fu is insufficient. All the aggro management I have on Misty (combined with substantial hireling/summon stat boosts) would not work for Pyn, even if she could train them, as she simply can’t pull off the better bow damage right now, no matter the ED. At least Pyn has a never-used Pinion bow ready to try when she’s back in business. And getting a Thunder-Forged bow isn’t a bad thing as well. Pyn 3.0 will come shortly. While I have a lot of projects now–Syncletica’s life as a hermit, Lynncletica’s desire to be a better tank and with other non-Monk flavors I’m enjoying, where will I find the time? Monks get priority for me, so Misty’s growing collection of Tokens of the Twelve are going to her. Misty blew away an Epic Normal run of “Devil Assault” and farms Tokens just fine. I want the Zen Archer working the way I know it can be. 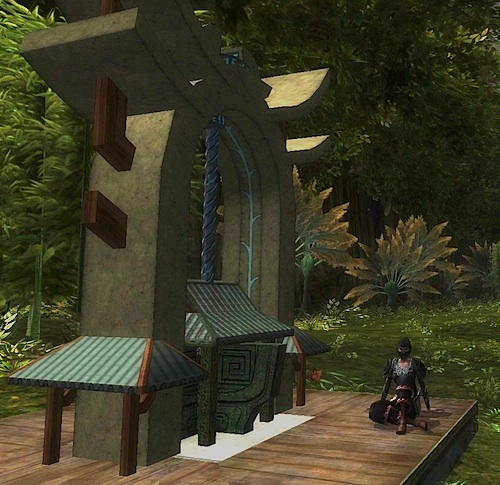 What’s inside Dungeons & Dragons Online? Only that which you take with you, I believe. “DDO is dying!” some forum member may exclaim in a poorly written thread that clearly shows that the forum has rolled a 1 in mastering their own mother tongue. “DDO is alive!” retorts another forum member in reply. We’ve all seen these threads. The phrase has almost become a meme. Some have tried to document the volume of players per server to prove their point, often pleading the devs to merge servers. This post isn’t going there. I’m going to talk more about the behavior of players, no matter how few or how many, on any server. Nor am I dealing with sexism in gaming that could foster such issues. I’ve written poorly enough on that before. Too often, a look at the Group LFMs show “BYOH”, short for “bring your own healing”–that is, be self-sufficient in case you’re damaged. That’s different from “bring your own healer” as many PuGs don’t want a hireling to take up a player slot nor cause them to have to expend resources on keeping it alive, much less waiting for a player to keep up while tending to the hireling’s errant behavior. And once invited into said group, most players just do what they want. A scant few might go off on their own. Many may surge ahead–even if you’re not actually in the quest yet. I feel this behaviors reflect my hypothesis that most players do not play DDO with a D&D game style. Either they aren’t aware of the game’s synergistic use of classes and have never played that tabletop or similar games before. Perhaps they also don’t care to know. Or, they’ve come from another game that fosters parties for convenience only, and less by tradition or necessity. There’s also a psychological factor with the nature of the modern gamer. There are occasional LFMs with “All optionals” in the comments. It may also still say, “BYOH.” That party leader is going to see everything in the quest. They still might not wait for you to see or read what they saw. I’m not omniscient and cannot prove much of what I cite here, but only note what I’ve read and seen as anecdotal evidence. You can fill in your own to draw a conclusion. I don’t see the game itself as the problem, but the manner in which many players tackle it. I break down the issue in two ways. These might seem familiar. D&D offers you to create a character, give it a class, and then have it join in with other characters on adventurers. If you win, great. You (and perhaps your party) are hero for the day. Tomorrow may be different. But a live combat MMO such as DDO tries to combine this party role gaming system with the nature of modern MMO gaming, which allows and even encourages character builds that are more self-sufficient and more solitary. You can play most of DDO as if the world’s fate literally revolves around you, never grouping with anyone. As GamerGeoff opined earlier today, the fact that your sole character can face down a dragon–nay, dragons—leaving mounds of dead wyrms behind you, is a bit anticlimactic. This isn’t necessarily the fault of the game itself. 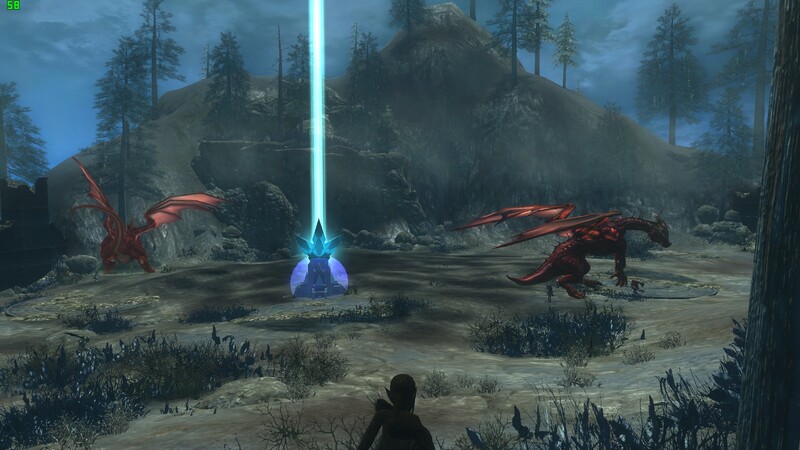 DDO offers raids and other adventures with mechanics or objectives that absolutely require a party, which infers a certain level of cooperation within it for the team to complete their goal. However, the mindset of many typical gamers today seems to contradict a cooperative nature. In fact, it seems that many powerful players gravitate towards being the most heavily geared, the most lives lived, or the most powerful. Such achievements do not necessarily require a party. And if they do, it’s less a matter of having friends than of using your friends wisely. In short, players are less communal but still less akin to mercenaries, even if affiliated with a guild. The tabletop camaraderie isn’t an etched-in-stone requirement. Such player characters might not want to be permanently affiliated with a party as part of their role-play shtick. Emphasis on the tactical use of the word “role” here, not the fantasy behavior. As I said, I see most players in DDO have a very low RPG background. This may be by choice in that they may have played some tabletop games before but are here to slay, slay, slay. It may also be that they know nothing of D&D cooperative gaming but to kill for fortune and glory. Some of DDO’s versions of the D&D character classes are better at going at things alone than not. All have a specific synchronicity for many quest types. None of them were meant to work completely alone. Why is this? The answer is simple. D&D melds you (as your character) into a story, along with other players. You’re not only a character in a game, you’re a character in a story. Be it a mystery or other quest, your personal interactions with the world–and even each other as player characters–are both non-combat and combat. DDO mimics a bit of the conversational. “A Study in Sable” comes close to this mechanic, where a bit of exploration yields a hidden secret that will prove helpful at the quest’s end. The start of “The Crucible” requires strong non-combat skills to make your combat (and XP) more rewarding. So does it make sense that only you become the sole protagonist in a large story? No more so that seeing a movie where Luke Skywalker or Riddick or Indiana Jones are simply interacting with objects. A story is about people, not a person. D&D doesn’t try to portray adventurers as superheroes, but heroes. Heroes do the job despite limits. Their true power is bravery, not gear or brawn. MMO gaming allows a solo player to emulate a party in some ways for convenience, of course. We can’t all find someone living to group up with at certain times. In DDO, hirelings can fill this out, but they are generally automated combat drones. They cannot interact with other NPCs and the dialogues they show the player character. So, what’s up with the player psyche nowadays? Why is there a perception or reality that no one wants to group with others anymore? Are the quests a “one-and-done” thing where, once played, the story doesn’t matter to some? Does the story even matter to the modern online player? Does the fate and loot of other players matter to today’s typical player? There’s some fact to my personal observations–and perhaps your own. Let’s give props to an early gamer that begin to study gamers before gaming was less cool than it is now. Back in 1996, Richard Bartle, a scientist and creator of the very first multi-user dungeon, or MUD (the progenitor of today’s massive multiplayer online role-playing games such as DDO) wrote a paper that studied how a player tends to play inside a MUD/MMO. Two other scientists built an online test based on this paper. The test’s questions were based on Bartle’s work on character theory. In the case of gaming, how does a player tend to play their character? Bartle broke it down into four categories. Now, while there are only four categories, this is actually a wider dichotomy that’s commonly classified by DDO players as “zergers” and “flower-sniffers.” To me, the Bartle character theory breaks down the gamer psyche to a finer nuance. The theory may still not satisfy for those who believe Bartle’s characterizations are still too narrow (creating a false dichotomy). For purposes of my discussion, however. this test is a good start to study the DDO player today. What better way to examine the test, still available at GamingDNA, than to try it out? Thus, I did. For long-time readers, the results shouldn’t surprise you. I tend to explore while gaming. That’s not to be confused with “flower sniffing” but to learn what in the world offers or opposes me. Since the DDO world is generally out to get you outside of public areas, knowledge is key to completing a quest without trial and error in the brutish “let’s kill stuff to see what happens” way that others do. Now, what kind of gamer are you? I wonder if more people play DDO because there are more people who want cooperative play rather than individual play with very limited and self-serving cooperative means (“I’d rather play alone but we need a healer.”) Perhaps there’s also the breadth of versatility in the DDO game mechanics that allow full use of many D&D traits that other games may not offer that make cooperative play more fortuitous than burdensome. I see nearly 40% of today’s DDO players as Achiever-types. About 35% are Explorer-types. But I feel Achievers as opportunistic. If some new update drops some complex loot, that percentage rises as some players feel more like an Achiever to get that new stuff. Thankfully, there’s always a few people who enjoy exploring. They don’t say no to loot, either, but completion, even creatively doing so by stealth, unusual combat or other non-combat skills or abilities, is their priority. 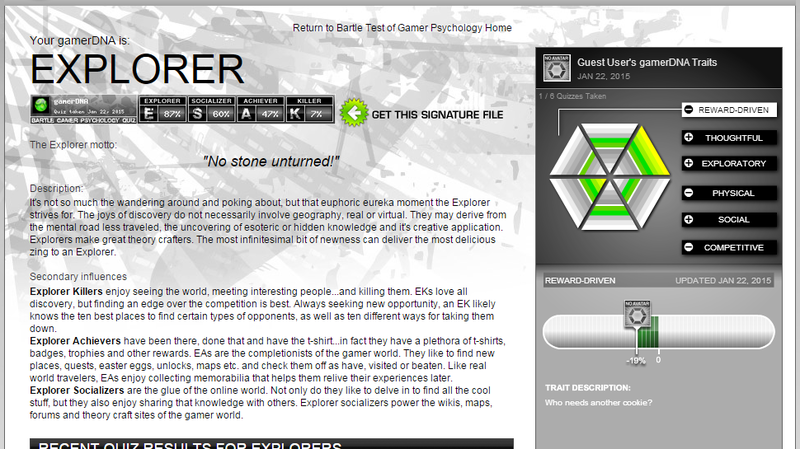 I can’t really say if Explorers are necessarily the party-type, either. I know that I don’t tend to find groups willing to get on sneaky runs into the Underdark or the Storm Horns. And perhaps the Achievers are moving too fast and with too strong a drive for some players to follow along. Makes me wonder how good (or bad) does DDO have it in terms of cooperative play versus other MMOs? Take the Bartle Test of Gamer Psychology at this link and share your results here or on the Fansite thread for this blog post. If enough people post their results, I’ll compile them for review later. Or, talk about your experiences. Do you notice some guilds favor one of the four Bartle characterizations? (Don’t name names, please). In what way do you foster a particular game style? I did additional research with one presumption: That players are offered MMO worlds which deliver a poor RPG environment from the outset. How can you learn RPG synergy if the games you play don’t bother to try to illustrate the advantages? If everyone can pick a lock, who needs the Rogue? If everyone can help themselves, why add the Cleric to the party? The recently released Neverwinter world by Cryptic always smelled funny to me for this reason. My guild has an affiliate presence there and it satisfied the young and curious in the guild with lots of shinies. But now, I hear very little talk about it. Reviews from reputable gaming websites and magazine slam Neverwinter for a design that concentrates more on player power (often by monetization) and less on the storyline. With just a bare five D&D classes offered, none of them the Monk class, I’ve never bothered to try it. If games such as these don’t encourage other facets of RPG gaming other than slaying (which is a valid component, but not the only one), how will RPG gaming endure, I wonder? Is the Millennial generation’s isolated individualism being reflected in RPG play? Since human interaction seems to be less direct than indirect (electronically), how can RPG as a whole survive? Despite the individualistic challenges of society that are becoming more reflected in general gameplay as a more isolated entertainment form, there’s still hope. The nature of the guild forces introverted folks like me to work with others and be sociable. DDO itself, through its D&D roots, provides the framework. Is DDO alive or dead? Look inside the box. The answer you’ll get depends on what you expect to see there.